The Legislature may be on the verge of passing a law laying the groundwork for red-light traffic cameras. 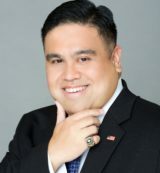 Although the measure headed for conference committee doesn’t yet appropriate money for the cameras to ticket motorists, Senate Bill 663 does give the Hawaii Department of Transportation the guidance to create a “red light running committee to develop any recommendations” for future implementation. “The prevalence of drivers violating Hawaii’s traffic laws has become intolerable,” the bill states and few could argue with that. According to National Highway Traffic Safety Administration data, at least 2,714 people were killed on Hawaii’s roads over the last two decades. Recently, a pickup crash on Ala Moana Boulevard claimed the lives of three pedestrians and injured three others, a “carnage” that has mobilized state and county officials to develop policies to reduce fatalities in Hawaii. If drivers know they may get a ticket by being photographed running a red light, some may be more likely to slam on their brakes — not necessarily the safest move. Like many public safety devices, red-light cameras are intended to psychologically deter bad behavior. The cameras debuted in the mid-1960s, and since then have become a staple of many municipalities around the world. The theory is that if rational motorists perceive they are being watched and can be instantly sanctioned for breaking the law, they won’t break the law in the first place. But like with all government interventions, unforeseen and unintended consequences frustrate the effectiveness of these systems. For one thing, the most egregious breaches of public safety aren’t committed by rational actors, but by irrational or impaired actors, as was the case with the crash in Ala Moana. Most citizens are already conscious of the law and the need to operate a vehicle safely, since the perceived costs of paying for car repairs, serving prison time for manslaughter or dealing with lawsuits is deterrent enough to make a good effort to behave on the road. Poor street design, bad traffic light timing and increasing congestion also impact the way motorists act on the road. 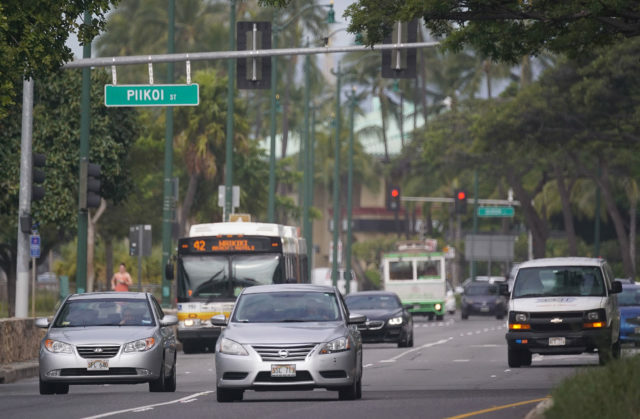 Many drivers may feel that Hawaii’s streets are designed in a way that if they don’t maneuver decisively or charge out when an opportunity arises, they might be stuck waiting longer than they find acceptable. And red-light cameras can punish motorists who might be honestly trying to obey the law but end up at the wrong place and the wrong time because of factors beyond their control. As someone who has received a gazillion tickets, I know all too well how easy it already is to get one in Hawaii. When people in Honolulu ask me to explain my political beliefs, I joke that I’m a “Marco Rubio Republican,” as I have even more violations than the senator from Florida. Machines, unlike human police officers, have a binary logic that don’t consider circumstances and automatically dole out tickets when pre-programmed conditions are met. This forces citizens into yet another “tell-it-to-the-judge” rite of passage, but most individuals would rather pay a fine than have to subject themselves to a traffic court. Randal O’Toole, a senior fellow at the CATO Institute, warns that red-light timing is the real issue. A better way to improve road safety requires “equal amounts of engineering, education and enforcement,” Prevedouros says. Hawaii’s state and local elected officials should move carefully on implementing policies that might further complicate our already untenable situations on the roads. Politicians love to pass new traffic laws because it presents a narrative that action is being taken, but good government needs to take into consideration the bigger picture. When we have better cities and better streets, we will almost certainly have better drivers.